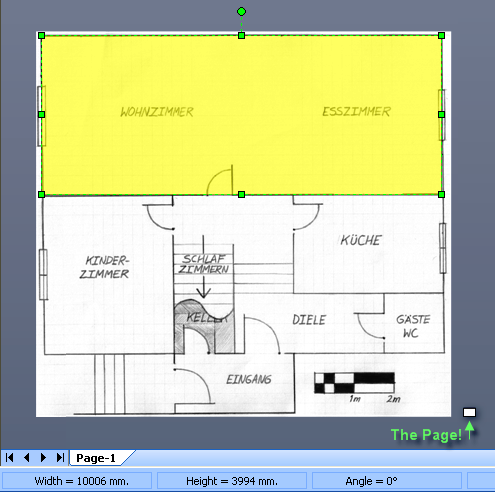 Quick-and-dirty Floor Plans Are People Too! While it’s great to have precisely-drawn, CAD-created floor plans-plum full of vectors that print beautifully-they aren’t always available. Often times, they exist only on paper…and even then, only after you’ve sketched them out yourself on quadrille paper. There are many tasks that can be performed with a scaled floor plan that don’t depend on a high-quality rendition of that floor plan. Rearrangement of furniture, layout of office cubicles, the planning of that new Home Theater and the wiring that it will require-all can be done on very simple floor plans, as long as they are drawn and scaled to a reasonable accuracy. If you use Visio for creating floor plans or other CAD- and engineering-related tasks, you know that Visio can handle a wide variety of scales. You can enter custom scales such as: 1in = 3.57 in, 1cm = 2m, etc., or select from a bevy of standard scales for Architecture, Civil Engineering, Mechanical Engineering or Metric applications. 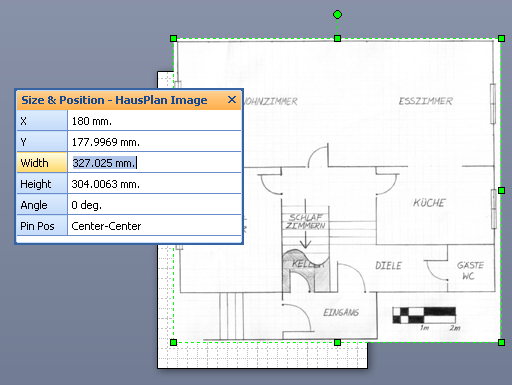 This allows you to easily work in a measured-drawing environment, just like in CAD. You don’t have to do any math in your head. But enough with the introductory stuff. Let’s roll up our sleeves, and like so many politicians, get to work! 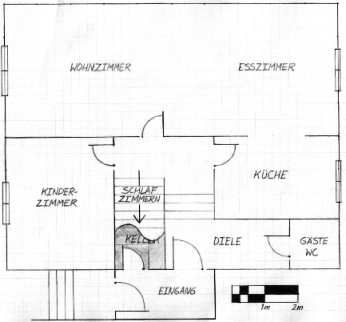 Below we see a floor plan of the house we’re staying in, just outside of Vienna. 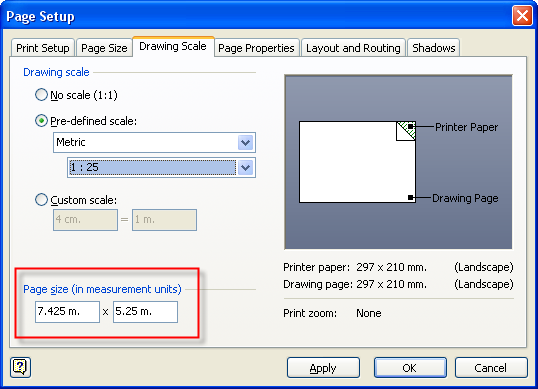 In this example, I started with a default drawing page, which for metric environments is A4: 210mm x 297mm. Earlier, I mentioned the scale indicator in the lower-right corner. Let’s focus our attention there, since this is our link to the scaled world represented in the plan. Once again, the Size & Position window comes to the rescue. As it turns out, the fields in this window understand math, so we can simply multiply directly in the fields themselves! We need to give our page a scale, so that it can accommodate the extents of our drawing. We don’t want to change its “A4-ness”, just the value that 1mm represents on paper. Place the image on a Layer and lock the layer, so that you don’t continually select the image and accidentally move it. Give the image transparency to de-emphasize it, and allow the grid to show through. This is especially useful if you plan to trace-over the image with vectors, or if your image has lots of distracting colors or details. This is the article I didn’t dare to ask for after “Importing Images as Backgrounds for Tracing”. Who isn’t afraid of scaling ? Awesome. Relatively new to Visio. Scanned in a CAD produced floor layout printed on A3. Straightened the scan in iPhoto. Then imported the TIFF file thinking it would be straightforward to scale it. It wasn’t. 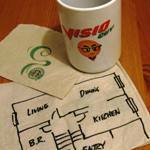 Was about to recreate the floor plan from scratch but found this article. Has saved me hours. Nice to know our article helped you out! 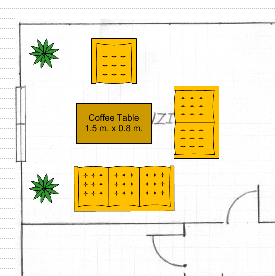 I was wondering if you could tell me where I could find a two-seater dining table from as I’m unable to find it in the Visio database. As you make these shapes larger or smaller, the SmartShape adds and removes chairs from around the tables. Ok… scanned over this article and it makes sense, but how do I get the grid-lines back again over the top of my background image??? Give your image a bit of transparency, so the grid shows through. Everything else seems to obscure the gridlines, even stuff on background pages. I guess gridlines are rendered first, then everything else on top. Can the “picture” be compressed to reduce file size aka as in Word? I’m not sure in which version it appeared, but I think you can right-click on an image and set some options like compression. 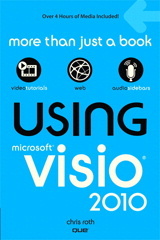 I’m pretty sure Visio 2007 has it, and Visio 2010 has an option on the Picture Tools contextual ribbon tab. I have been screwing around for ages trying to guess what scale to work with and finding the image shrinks to the corner of my page as I was not sizing the image first. where visio get that dimension data about their furniture? is there any lisence or something else ? Hello Visio Guy, I’ve been trying for ages to import (either from Excel or Access) data into Visio that includes a hyperlink to a (local file) jpeg picture. I want to be able to click on the Visio shape to get the picture, but the Hyperlinks aren’t coming across into Visio so that I can put them into the shape. Any ideas what I can do, or what I’m doing wrong? Now that field is configured as a hyperlink. It does seem to go back and add hyperlinks to shapes that are already linked to records. I got it to work for absolute paths to local images, as well as internet website addresses. Relative paths didn’t seem to work. I think that there are circumstances where Visio tries to automatically determine that an Excel column contains link data, but I couldn’t isolate the conditions. I suspect that the column name has the word “Link” in it, and that lots of the data contain “:” (ala: http://www.visguy.com), but I couldn’t get it to reproduce.